D.R.E.A.M.S. 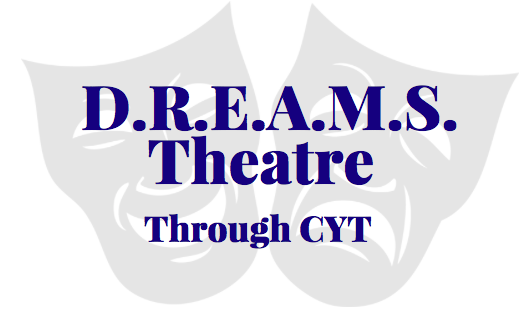 Theatre through CYT (Christian Youth Theatre) is a theater class that is offered at The Bayou Church. It is a class that offers individuals with special needs the opportunity to learn acting skills, perform in front of a crowd on stage, and shine like super stars! The kids create lasting friendships and confidence in themselves! D.R.E.A.M.S. Theatre is offered 3 times a year in 10-week sessions. Classes are held on Tuesdays from 4:30 – 6:30pm at The Bayou Church. The fee is $150. The next session begins in February 2019! Do you think your child or loved one would be interested in being a D.R.E.A.M.S. Theatre? To join the fun, visit cytlafayette.org for more information on how to sign up for a class!